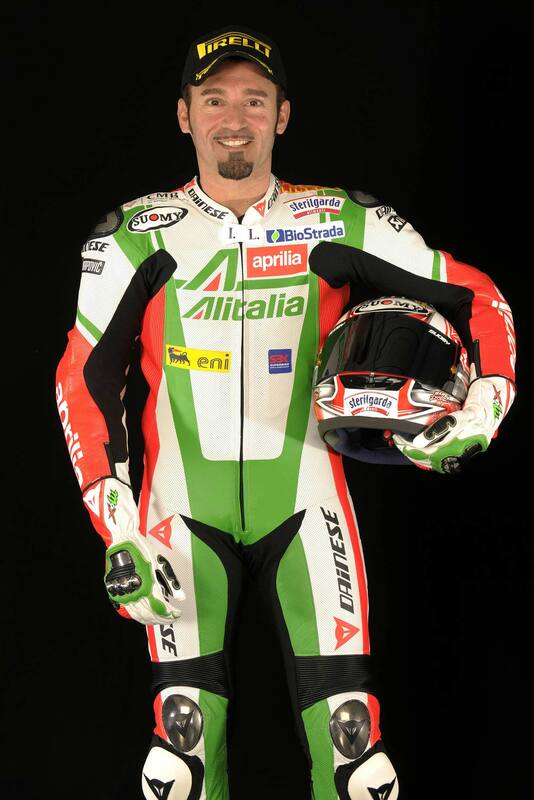 There’s been a bit of hemming and hawing regarding whether Max Biaggi would take the Champion’s Honor and wear the number one on his Alitalia Aprilia RSV4 Factory race bike in this season’s World Superbike Championship. 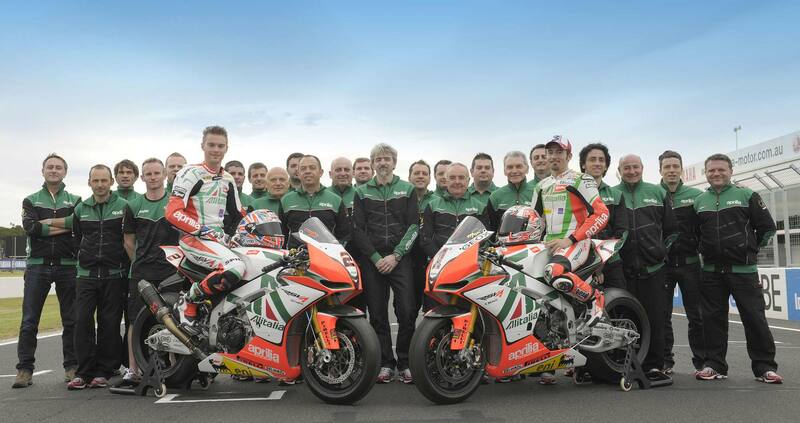 But that speculation has seemingly come to an end now, as during the WSBK “class photo” today, Biaggi’s Aprilia RSV4 wheeled-out of the garage with the #1 plate blazing. Reports from the World Superbike paddock suggest that Aprilia is keen to make a showing of its success last season with the #1 plate, while Biaggi would prefer to retain his venerable #3 logo, which is his current official listing with World Superbike. 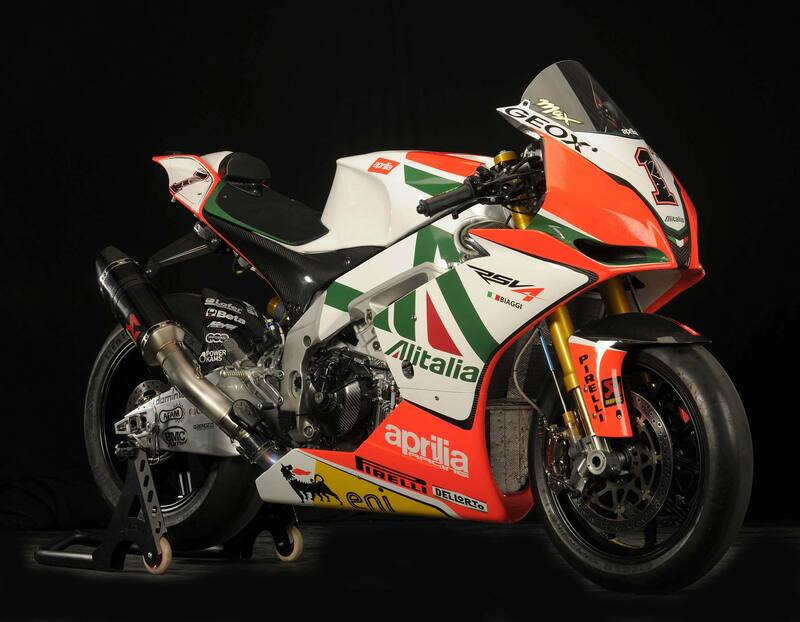 Today’s unveiling seems to suggest the Italian factory has won out on that debate, as it’s expected that Biaggi will start this season’s opening round at Phillip Island this weekend with the #1 firm affixed to the front of his Aprilia RSV4 Factory race bike. 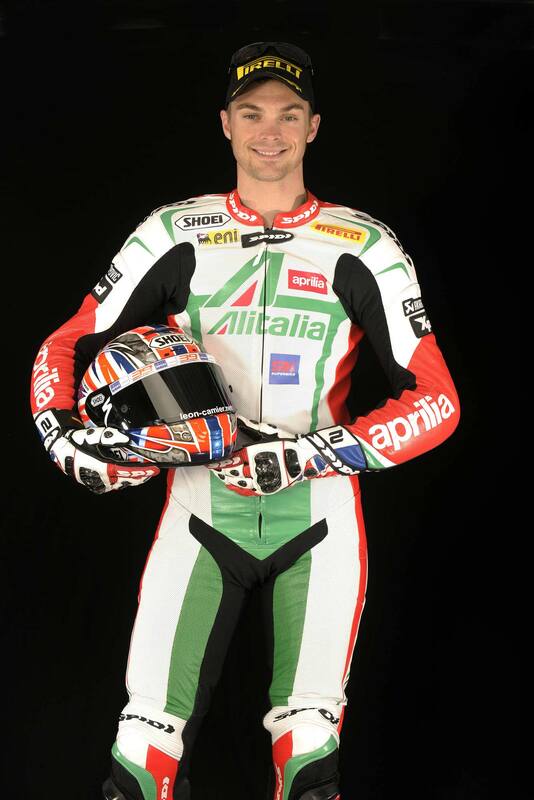 Not since 2006 has a champion worn the #1 plate, and the last person to do so in World Superbike was Troy Corser. Coincidently in MotoGP, Jorge Lorenzo is also taking advantage of the Champion’s honor, which has served as an albatross for every rider in that class since it switched to the four-stroke machinery in 2002. Time will tell how it works out for these two Champions in 2011.